When vacationers discovered Grace Bay Beach in Providenciales back in the early 90s, this amazing 5-mile stretch of white sand catapulted the Turks and Caicos Islands to the top of the must-see vacation world map. 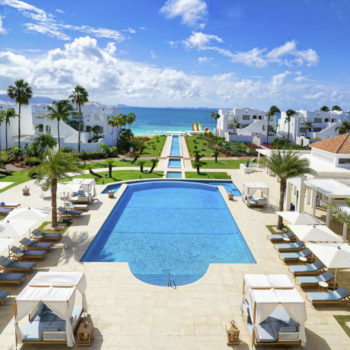 25 years later, Providenciales has also evolved into a preferred destination for planting roots in the form of a Caribbean luxury residence hugging the island’s turquoise water. 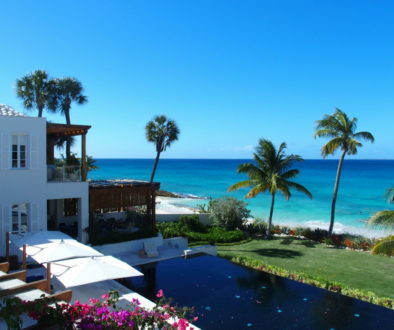 Grace Bay Beach is no longer the only game in town when considering the purchase of a Providenciales luxury villa. Recently, home buyers and renters also are thrilled by secluded developments like Long Bay and Babalua Beach for the same water color, but with a different level of ambiance and privacy. Today’s Providenciales real estate market is buzzing over the For Sale sign posted at Coral Pavilion located in a prime Grace Bay Beach location. On Long Bay, the ultra-modern Mandalay Villa garners the same $11 million price tag as Coral Pavilion. 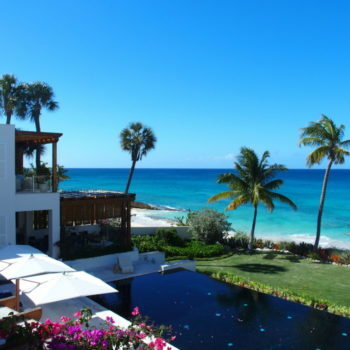 If you’re looking to take the baby step of renting before buying in Providenciales, then the spectacular six-bedroom Cascade Villa on Babalua Beach is a great way to start. Built in 2016, this 8,000-square foot villa showcases design features patterned after famed Barbados architect Oliver Messel. 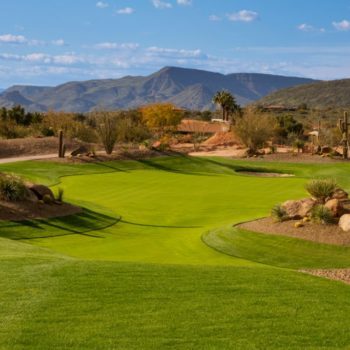 This two-story villa’s location offers the convenience of a five minute drive to Providenciales restaurant row, Regent Village shopping, Blue Haven Marina, and Provo Golf Club. 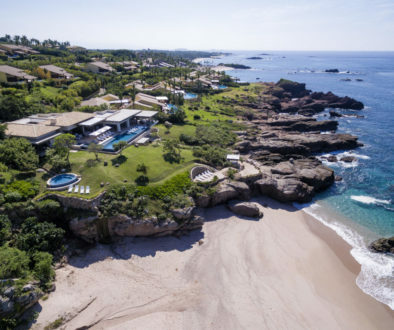 The landscaped acreage surrounding the property provides a tranquil feel while still connecting with the ocean waves that soothe residents to sleep. Imported details can be found throughout Coral Pavilion’s elegant interior design. Finishes include Dominican tile in the chef’s kitchen, French lanterns accenting the spiral staircase, inlaid turquoise in the bathroom vanities, a Frangipani framed fountain, and the Coral Pavilion seashell logo artfully ingrained above the doorways. Coral Pavilion is a paradise of indoor-outdoor living. The palm tree framed pool area and gazebo lead to miles of Grace Bay beachwalking and a plethora of Caribbean Sea activity options. 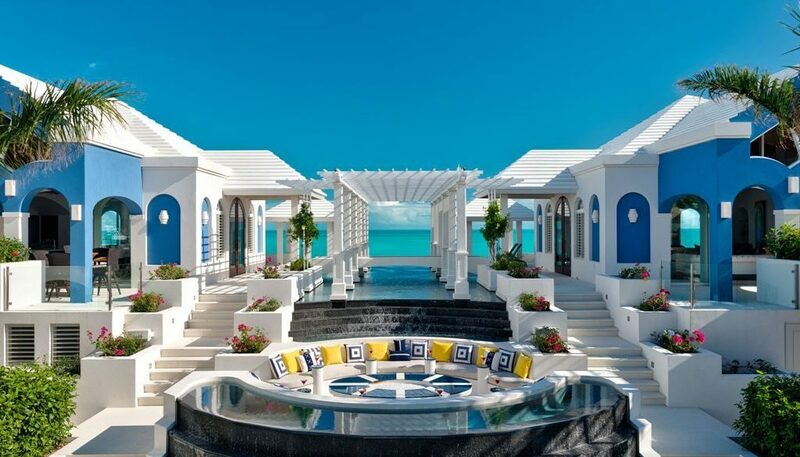 This six-bedroom home is the ultimate in Turks and Caicos solitude, entertainment, and island living investment potential. 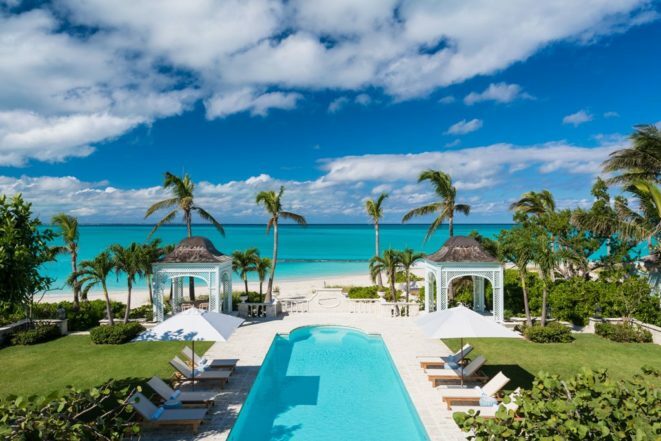 The 11,000-square-foot Mandalay Villa is perched above the burgeoning Long Bay southern side of Providenciales. Long Bay has long been a favorite of kiteboarders, and over the past five years the real estate value of residences has skyrocketed in tandem with the opening of The Shore Club, a luxury resort that first welcomed guests in 2017. 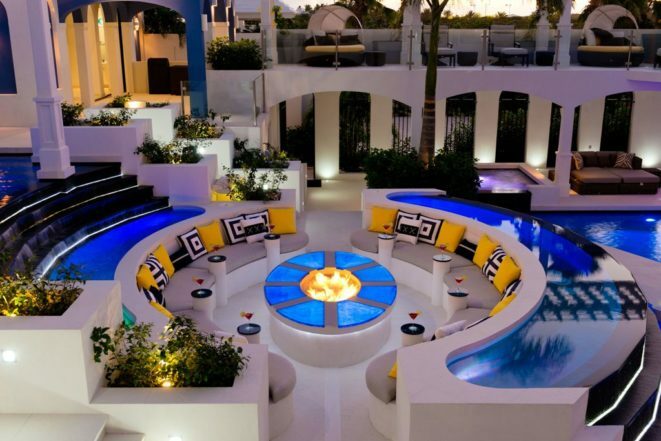 Built in 2012, this seven bedroom home on two acres of oceanfront, features cutting edge technology, cascading water features, and 38 adjustable LED lights that makes the pool area come alive at night. 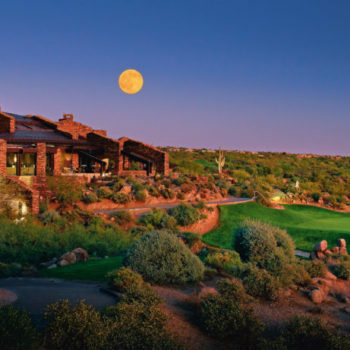 The travertine paved gated entrance is flanked by citrus gardens providing year-round fresh fruit. Mandalay reveals vaulted Philippine mahogany ceilings in the chef’s kitchen, Crestron integrated home technology, and a massive outdoor movie theater. Mandalay was designed by Providenciales-based architect Ron Shaw. 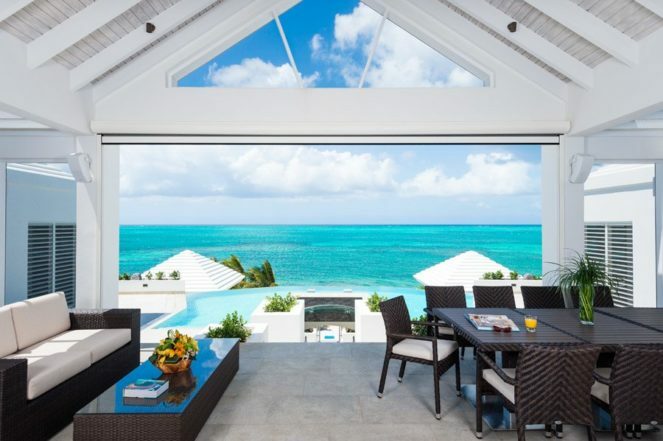 If you’re looking to rent before buying on Providenciales, consider Cascade Villa for a residence delivering a first impression “wow” factor. 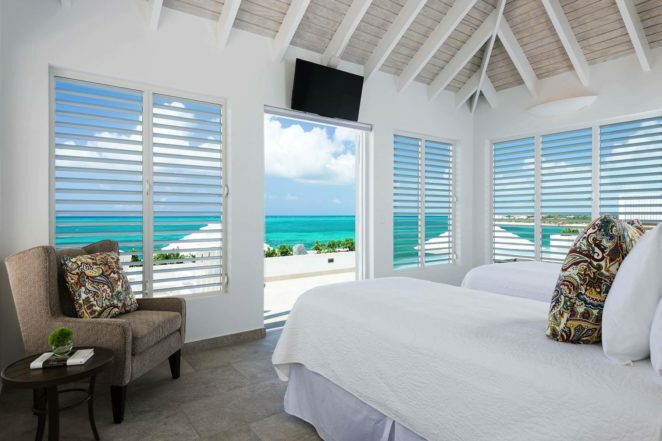 Upon entering the first level, this six-bedroom tiered villa presents a stunning wall-to-wall view of the Caribbean Sea. Step down to Cascade’s second level for amazing outdoor living and two identical bedrooms. 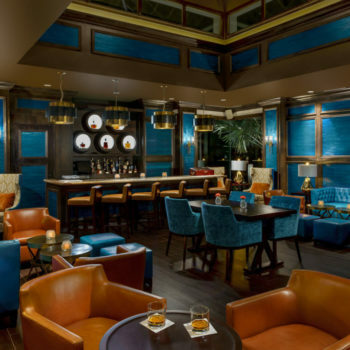 Take comfort in a blue glass fire pit, as well as a spacious deck for luncheons, cocktails, reading, or gazing at the occasional sailboat floating by. Cascade’s third level is as close as you can get for bonding with sedate Babalua Beach. This connection with nature is accentuated by an orchestra of ocean waves. Built in 2015, Cascade is the perfect rental option for a generational vacation, romantic escape, or for experiencing the Caribbean Sea up close and personal.